Posted on June 15, 2018 - By Fucosoft | Follow YouTube, Twitter to Get More Information. If you’re using Android phone or tablet, you’ve probably know about root. Rooting is the process that allows you to obtain complete control over your Android device. Benefits include flash custom ROM & Kernel, uninstalling pre-installed Apps, removing ads in Apps, enabling restricted features and more. However, rooting your Android phone will very likely void your warranty. That means if something goes wrong, you run the risk of bricking. So, if you’re attempting to root your Android phone, you’d better choose a safe and reliable software. Today we’re going to show you the 5 best Android root tools to help you root your Android phones or tablets from computer. Dr.Fone Root is one of the best software for rooting Android devices. It is very straightforward to use and you can get your device rooted in just a few clicks. This Android root software is compatible with over 7000 phones and tablets from Samsung, HTC, LG, Sony, Motorola, Huawei, Google and more. Complete free to root your Android phone. 100% safe and secure, doesn’t void warranty. 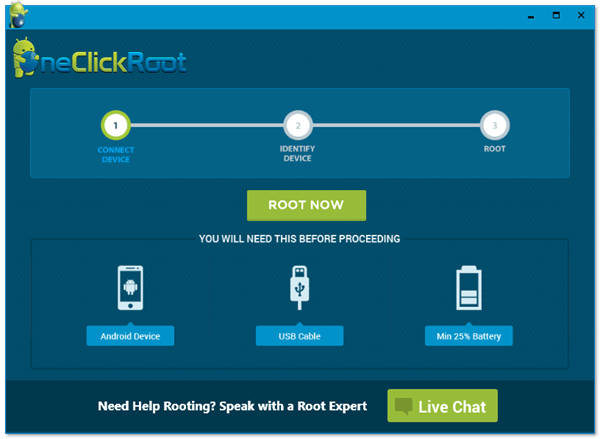 One Click Root is also one of the best Android root tool for PC, also available in APK version. It provides one-click root solution for those users who don’t have much experience in Android rooting. High success rate in rooting Android phone. Provides 24/7 customer support to ensure safe rooting of Android devices. Offers backup and restore service for free. You can’t uninstall this tool, once you root your Android device with it. Kingo Root is another one-click Android root software for PC which has a high success rate in rooting. It offers the most efficient way to root majority of Android device and is widely known due to its simplicity in operation. Easy to use interface to carry out the rooting process. Enables you to remove root at any time. Doesn’t support some Android devices. 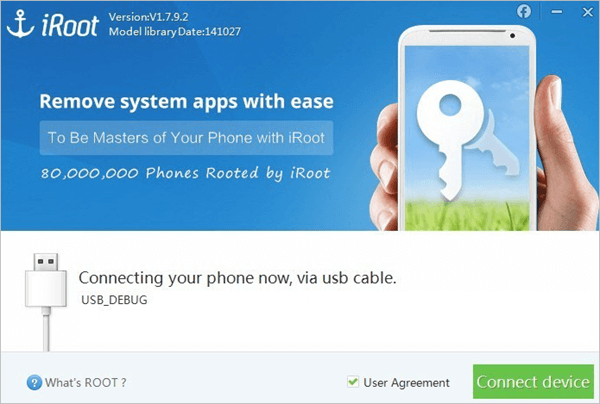 iRoot is also a useful tool for users to root their Android devices. 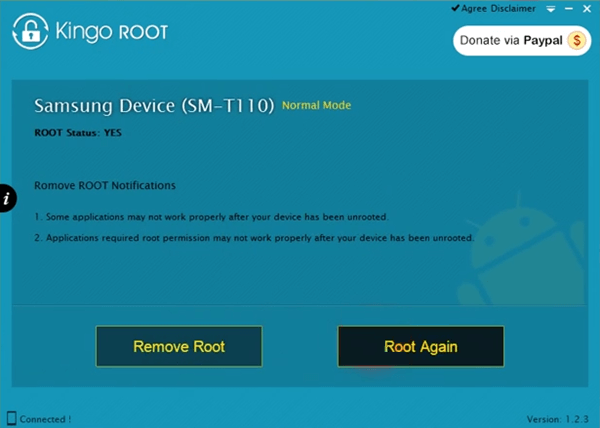 This free Android root tool can quickly and safely root your devices, without risking turning your device into a useless brick. Supports thousands of Android phones. Able to root Android device without internet. There is no unroot function. High chances of messing up the Bootloader while rooting Android phone. A bit confusing for beginners to understand the rooting operations. King Root is the last on today’s list of best Android root software for PC but certainly not the least. It can root your Android phone with just a simple click and claims to root all popular Android devices. Easy and convenient user interface. High chances of bricking the Android device while rooting. There are hardly any updates for King Root. Back up important data on your Android phone before start rooting. Ensure that your Android device is fully charged before you begin. Turn on USB debugging on your Android phone. 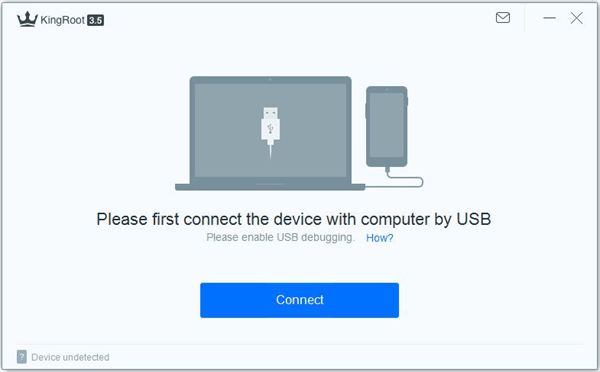 If you have no idea to do it, please refer to: How to enable USB debugging. Download and install Android SDK Tools from Google’s developer site. 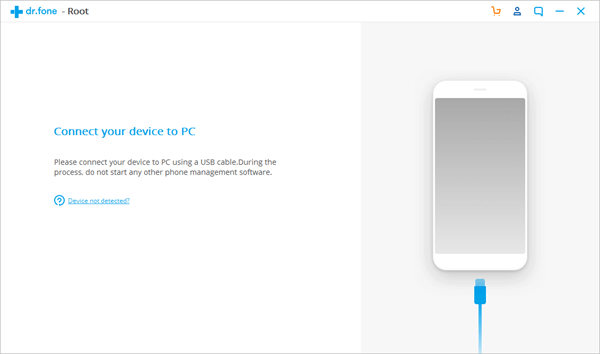 Download and install the appropriate USB driver for your Android device. Once the preparation is done, you can proceed to root your Android phone with software. If you accidentally lost your data during the rooting process, we recommend you to try Fucosoft Android Data Recovery, which helps to recover deleted text messages, contacts, call logs, WhatsApp, photos, videos, etc. from Android device such as Samsung Galaxy S9/Note 9, HTC U12+, Huawei Mate 20 Pro, Google Pixel 3 XL, LG G7, OnePlus 6T, Sony, Moto, Xiaomi, Oppo, etc.